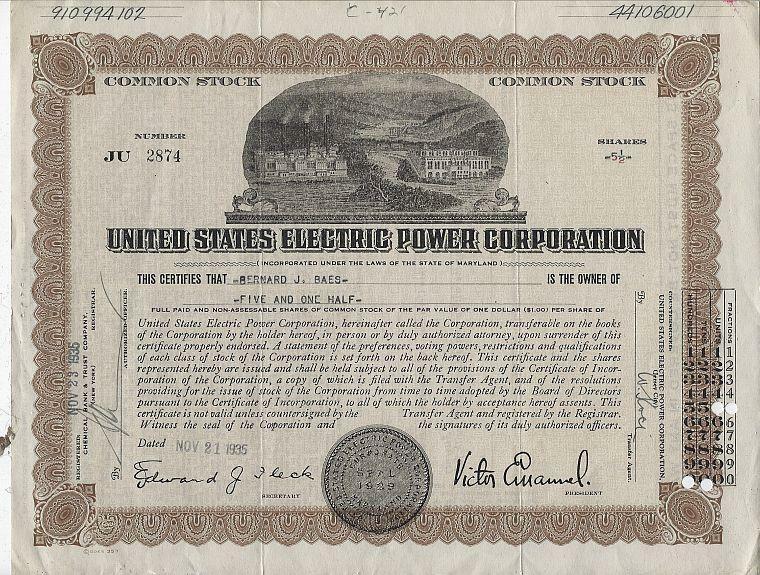 United States Electric Power Corporation Common Stock Certificate. Good condition, wear at edges, light soiling on back. 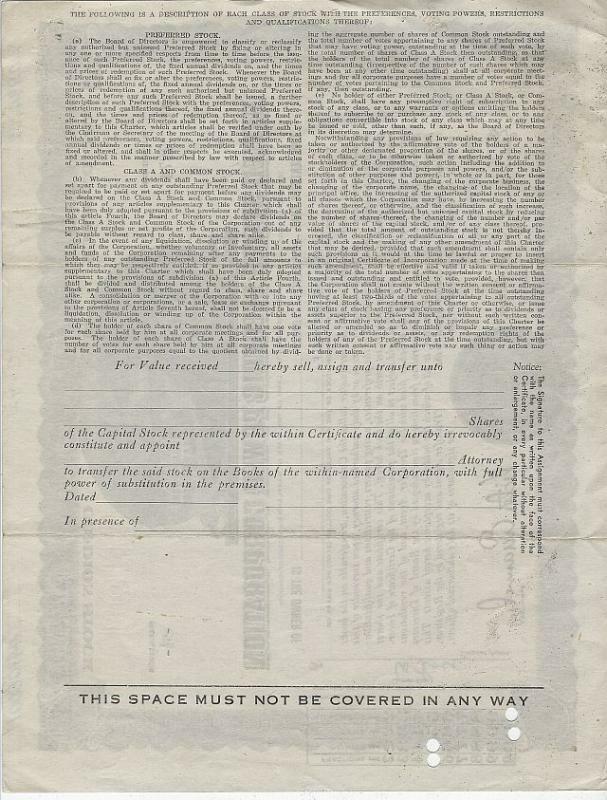 Certificate is 11" long and 8 1/2" high. Items Similar To "United States Electric Power Corporation, Maryland Common Stock C..."